(SCOTTSDALE) – Larsen Gallery, a national leader in the secondary art market for more than 20 years, has added exceptional Picasso etching “Minotaure Aveugle Guide pare ne Fellett dans la Nuit” (translation: Blind Minotaur Guided by a Young Girl in the Night) to the 2015 Larsen Art Auction, taking place at WestWorld as a part of the 5th Annual Bentley Scottsdale Polo Championships: Horses & Horsepower on October 24. The limited edition etching is from one of Picasso’s most celebrated series, The Vollard Suite, which is comprised of 100 images that Picasso created between 1930 and 1937. This is just one of several Picassos that will be up for bid at the Larsen Art Auction at the Bentley Scottsdale Polo Championships. It joins a 1962 linocut titled “Tete de Femme: Jacqueline au Chapeau de Paille” (translation “Head of Woman: Jaqueline in a Straw Hat”), which has an estimated value $80,000 – $120,000; a 1968 lithograph from his Series 347 titled “Ecuyére, Enfant, Et Jongleur Avec Ses Ballons” estimated between $3,000 – $5,000; as well as two ceramics from The Madoura Collection “Picador” Ramié 160 and “Torors” Ramié 161, estimated values between $1,000 – $2,000 and $3,000 -$5,000, respectively. This year will be the Larsen Gallery’s most valuable collection ever to be auctioned at the Bentley Scottsdale Polo Championships. Additional items on the auction block include three original Leroy Neiman paintings “Seattle Slew at Belmont”, “Tribute to a Heavyweight Champion” and “Saturday Night Fever”, with an estimated range of $30,000 – $90,000 each; and “Bare Tree Green Sea” by modem minimalist, Milton Avery, estimated value $50,000 – $70,000. 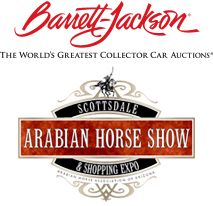 All auction items will be on display at Larsen Gallery, located at 3705 N. Bishop Lane in Scottsdale, Arizona 85251, in advance of the Bentley Scottsdale Polo Championships: Horses & Horsepower starting Oct. 1, and during the Larsen Art Auction Preview Party on Oct. 21st. RSVP is required, please contact rsvp@LarsenGallery.com no later than October 18th. Larsen Gallery is accepting consignments for its 2015 auction through August 30th, 2015. The 2014 Larsen Art Auction produced impressive sales with an 80 percent sell through rate and welcomed bidders from 46 states and 33 countries. Consignors are invited to email the Larsen Gallery consignments@larsengallery.com to discuss artwork they wish to consign, as well as to register to bid. 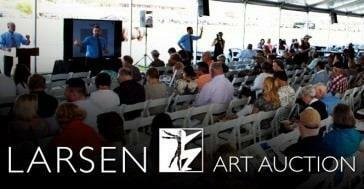 For more information or to register to bid for the 2015 Larsen Art Auction please visit the auction’s website at larsenartauction.com or contact the gallery at 480-941-0900. Media inquiries about the Bentley Scottsdale Polo Championships: Horses & Horsepower, or to schedule a media viewing of the auction items, contact Stephanie Lough at stephanie@rosemoserallynpr.com or at 602.703.0526.